This is my fourteenth anniversary surviving a lung cancer diagnosis. 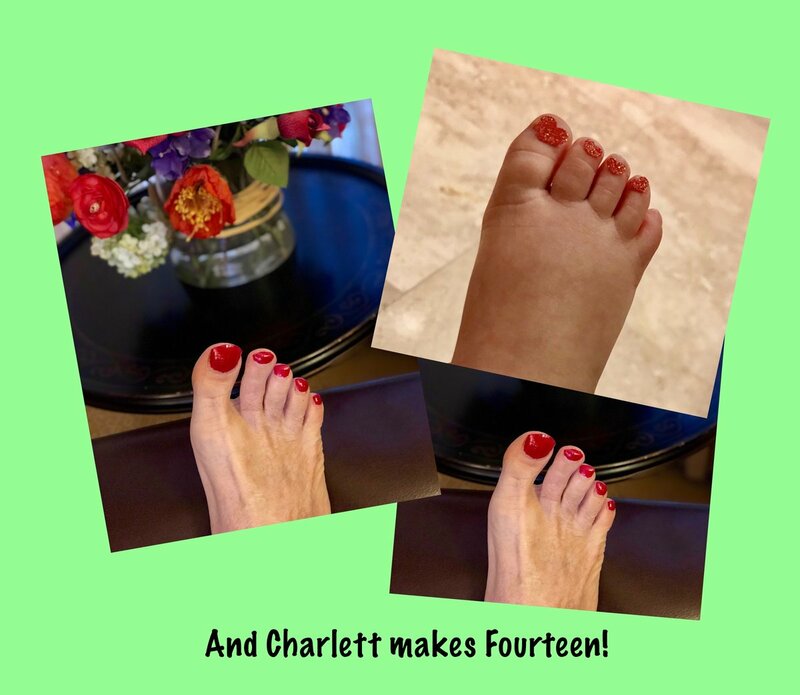 Granddaughter Charlett's decorated toes join mine to keep our right feet forward! I paint my toes every year as a celebration of the joy life brings. In early treatment, there was no joy. There was fear, frustration, pain, uncertainty and scanziety. I'd not yet discovered Dr. Phillip Bearman who taught me the reason for lung cancer treatment -- achieving extended life. Phil decided he would live every moment to the fullest despite the rigors of treatment, and he'd celebrate every year of survival with a painted red toenail. He couldn't control his lung cancer, but he could control the way he felt about his lung cancer. I started living when I internalized his message. My first paint job was at my third anniversary and I'll never miss another. 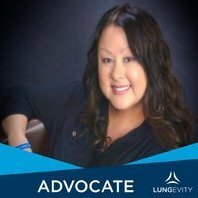 I am a lung cancer survivor. My message for those in treatment is twofold: enjoy the life extension treatment provides and if I can live, so can you. Congrats Tom! You are an inspiration for us all! wonderful news!! Here's to so many more! I love this!!! Your story gives us all hope. Congratulations, Tom! Thank you for sharing this wonderful news and for being such a vital part of this community! By the way, I'll be adding a two red toe picture today.